If you decide to travel to Iceland, you should definitely try some local food, you can read more about traditional Icelandic food here and traditional Icelandic breakfast here, but in this article we would like to focus on a famous Icelandic bread - Rúgbrauð. It is a rye bread, which has a very particular slightly sweet flavour. Nowadays Icelandic people get most of their energy from geothermal sources, so it's not surprising that in the past people also used hot springs for cooking. Most of the dishes are now prepared using modern technologies, however Rúgbrauð is still baked as many centuries ago with a help of hot springs. Traditionally this bread is baked for 24 hours, one needs to put all the ingredients together in a pot and sink it into the ground. It will be cooked in a steady low temperature of a hot spring, which gives Rúgbrauð a unique texture and palate. Even though the volcano bread has a slightly sweet taste, it goes perfectly together with a traditional Icelandic soup, especially in a bad weather. In fact, in our opinion, there is no better food in winter to warm you up than Rúgbrauð with a beef soup! 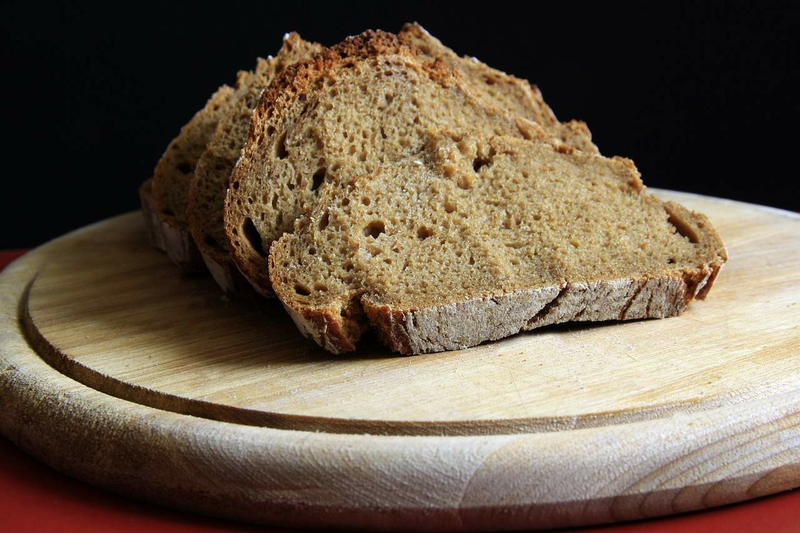 It doesn’t matter if you are in Reykjavik or decided to rent a car and travel around the country, there are plenty of places that specialised in this rye bread. However, Icelandic people decided to go beyond just selling a bread: some companies offer tourists a chance to bake Rúgbrauð themselves and witness this spectacular process! If you have a free time, we would definitely recommend you to go to such tour, baking your own bread in a hot spring certainly will leave you with unforgettable memories! Can I bake it at home? There are various recipes on how to bake this bread at home and many of them are really great, but without hot spring the bread will definitely lose its unique taste. After all Icelandic people used hot springs for cooking for many centuries and eating something that is prepared so naturally cannot be replicated in any other way. So in case you are planning a trip in Iceland, don’t forget to try amazing Rúgbrauð.